Russia and Iran are moving closer to a $20 billion oil-for-goods deal launched earlier this year, according to a Reuters report citing unnamed sources close to the deal. Russia has finished preparation of all documents related to the deal on its side, and the deal’s completion now allegedly hinges on an oil price agreement, the source reportedly said. The deal could eventually be worth $15-$20 billion, but would be completed in increments, with an initial $6-$8 billion transaction, while both sides are still bargaining over the exact nature of a barter deal that would trade Iranian oil for Russian industrial goods and food. The industrial goods would not include military equipment, according to the source. Talks began in mid-January to a flurry of responses emanating from Washington, which threatens new sanctions on Iran if the deal were to go through. Since sanctions were slapped on Iran in July 2012, exports have fallen by half and Iran is losing up to $5 billion per moth is revenues. 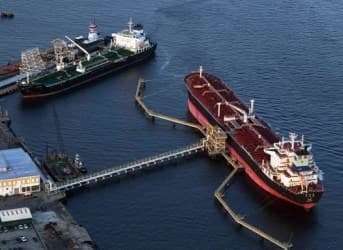 Russian purchases of 500,000 bpd of Iranian crude could lift Iran's oil exports by 50% and infuse the struggling economy with some $1.5 billion a month. US authorities have said such a deal would raise "serious concerns" and would be inconsistent with the nuclear talks between world powers and Iran. Russia is also considering the construction of a second nuclear reactor at Iran’s Bushehr nuclear plant as part of the deal. The current Bushehr reactor was built by Russia and reached full capacity last year. “Iran could use some of the proceeds to pay for the construction by Russia companies of a second unit at the nuclear power plant in Bushehr,” Iranian ambassador to Moscow Mehdi Sanaei was quoted as saying in Moscow. A nuclear agreement reached in November last year with Iran and world powers is in the process of being finalized, and the news of the potential Russian-Iranian oil swap deal plays to the hands of Iran hawks in Washington who are keen to see the November agreement collapse. The November agreement is a six-month deal to lift some trade sanctions if Tehran curtailed its nuclear program. Under the terms of the tentative November nuclear agreement, Iran will be allowed to export only 1 million barrels of oil per day. There is also concern that the international crisis over Ukraine, Russia’s annexation of the Crimean Peninsula, and Western threats of retaliatory sanctions have lent greater impetus to the Russia-Iran oil-for-goods swap.